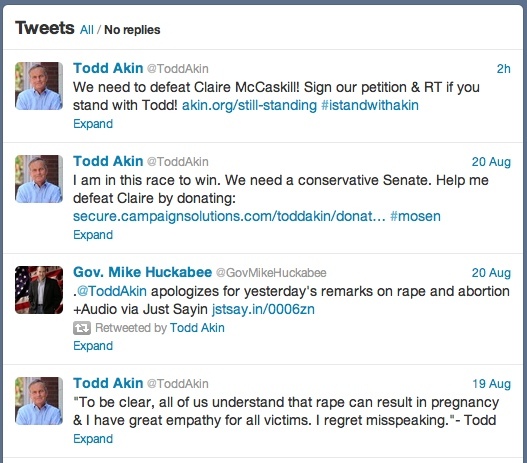 Todd Akin’s Last Word. For Now. So the carnage will continue, for the time being, at least. Still, there is hope: today’s 5:00 deadline was a soft one at worst. After today, Akin can still withdraw, but he will need to get a court order. Unlike some observers, I don’t think he would have any difficulty getting such an order. The question will be whether he sees the light soon enough for the party to field a substitute candidate and mount a campaign. 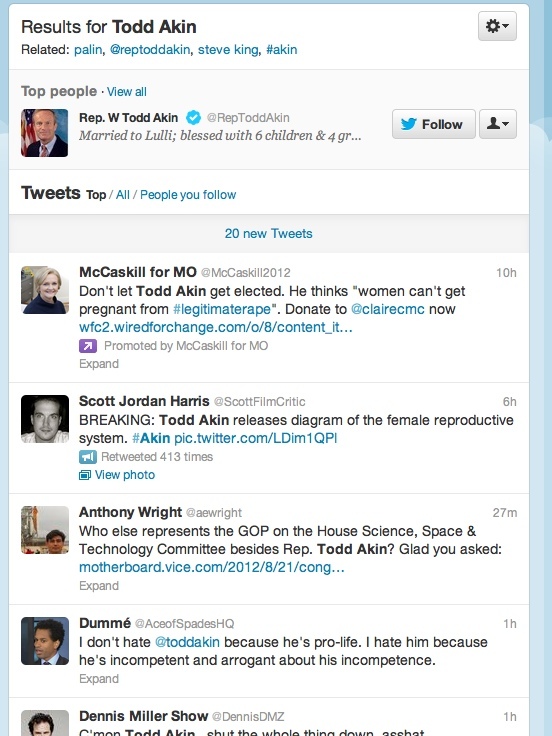 The good news is that Claire McCaskill is so weak that pretty much any Republican other than Akin will beat her. So we may not have heard the last from Akin, but for now, at least, but you’ve heard the last from me on the subject. I’m pledging to be Akin-free, at least until there is some hard news. Like Akin’s withdrawal. In the meantime, don’t get too discouraged: I learn from our “Picks” section that the latest Florida poll has Mitt Romney leading by 14 points, 54%-40%.